I remember first hearing about Kurt Cobain’s death during lunch at a friend’s house. I can’t remember if Michael or Chris was the one who informed the other two of us… but I remember it seemed shocking, yet somehow not completely surprising. It kinda marked the beginning of the end of an era. For a few short years, “grunge” music had dominated radio and MTV… but by that point it seemed like it had always been around. And I suppose we just sorta assumed the music of our youth would always be there. As if it hadn’t occurred to us that our trends would fade in time, just like the previous generations had. 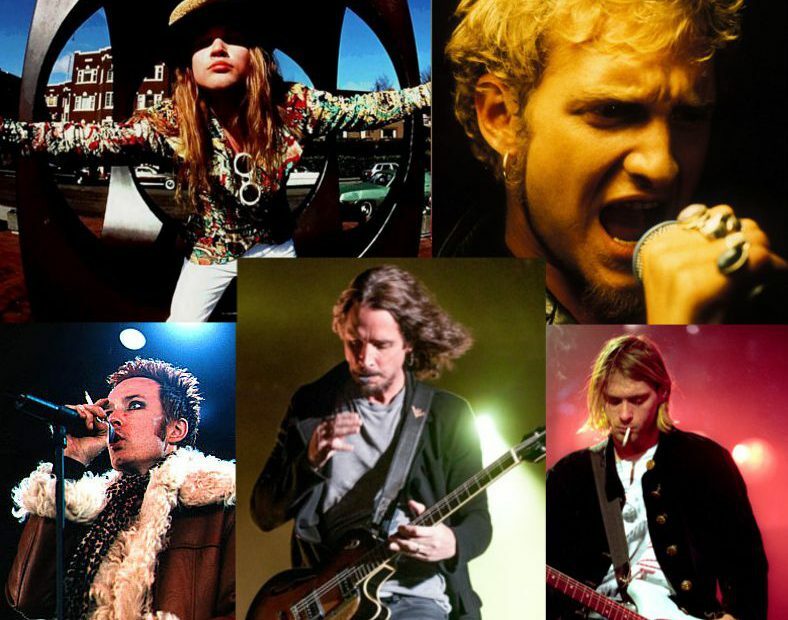 Even though Kurt’s death meant Nirvana was finished, we still had plenty of other bands, like Soundgarden, Alice In Chains, Pearl Jam, and even Stone Temple Pilots to carry the torch. When I woke up Thursday, May 18, to read that Chris Cornell had died, my first thought was that I wasn’t prepared to start losing our ‘grunge’ heroes. Then, waking up a little more, I remembered that Cobain had died so early on. At some point in the day, it hit me… that we’ve lost the lead vocalists from 4 of the 5 major grunge bands from the 90s. Yet somehow Cornell’s death hit me harder than Scott Weiland or Layne Staley. I think it’s because Weiland’s and Staley’s inner demons were so well known, and Cornell always seemed removed from the more extreme darkness they suffered from. And it probably makes a difference that I always liked Soundgarden more than AiC or STP. As we learned that his death was a suicide, it hit even harder. Here was a guy who had lost so many friends/contemporaries to drugs and the struggles of rock stardom… even wrote numerous songs in tribute to and reflecting on losing one of his closest friends… and yet he succumbed to his own inner demons after all these years. Originally, I was gonna make this tribute mixtape a collection of songs from all the 90s alternative musicians we’ve lost. But the more I reflect on the big 5 grunge bands, the more significant their legacy seems… so I feel like it’s worth focusing on these vocalists specifically, and the impact this grunge sound had on us 90’s teens. As I’ve thought about this mix, and the way I want to tribute these singers and the scene their bands represented, I realize that I have way more thoughts on the subject than I can put here. So I want to focus this write-up on the mixtape itself, and I plan on writing a more extensive blog when I get the rest of my thoughts put together. This tribute mix is kinda like my RIP 2016 tribute… in that, I have selected the songs that I’ve most enjoyed over the years or that seemed to speak to me as I was looking through my collection to pick from. Honestly, I had to make it a point to listen to my favorite Cornell albums to figure out which of his songs I wanted to include, because it seems I just haven’t listened to him enough in recent years. But isn’t that how it always goes when we lose an artist we once loved… we realize we had kinda been taking them for granted and neglecting them recently, and need to revisit their work to fully remember and understand why their death seems like such a loss. I also had to really think about which songs to choose from the other singers I wanted to represent here. Because while this grunge movement was specifically marked by honest, introspective lyricism, and I wanted to pick songs that reflect that autobiographical sincerity, there sure seems to be a lot of songs that just weren’t obvious about the author’s truest meaning. But I guess that’s just the mark of great art anyway. I started this tribute mixtape with a vocalist that didn’t reach the level of fame that the rest of these singers did before his death. Andrew Wood might not sound like the same kind of vocalist as the others here, but in some ways, his short career and death were a catalyst for the Grunge wave that came after his heroin overdose in 1990. To be honest, I was completely unfamiliar with Mother Love Bone’s sound… I just had never made the effort to dig into them. I’ve always been aware of the role that Wood and MLB played in the Grunge scene, but it felt a little Johnny-come-lately or bandwagony to go back and try to become a fan, simply because his/their name was spoken in context with the bands I had come to admire. 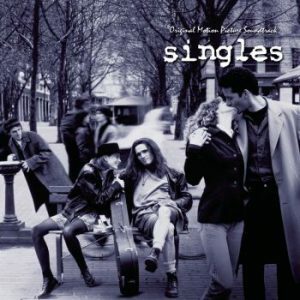 Plus, I never really could get into their track on the Singles soundtrack. But knowing that his voice belongs in this tribute, I pulled up the band’s album, Apple, and the first track hit me immediately. I promise I’m not just being lazy by picking the first song. While the lyrics might not have the introspective depth that we find in some of the music that came later in the scene, the description of rock and roll swagger and drive kinda set the stage for what the scene became… and even sorta foreshadows a song that Cornell wrote after Wood’s death. The thing that hit me most about This Is Shangrila, was just how familiar the band sounded, even though I had never heard them. It was instantly obvious that Mother Love Bone had a significant influence on the scene that followed… not just the grunge scene…but the whole heavier alternative rock scene that flourished in the 90s. It’s like MLB was the perfect transition from the hard rock, anti-hair-metal of Guns and Roses, and the ‘Modern Rock’ sounds that would soon take over rock radio. For the second Wood/MLB song, I had intended to stay away from the obvious Singles cut. But after giving it an honest listen for the first time ever, I realized that “Chloe Dancer/Crown of Thorns” did seem to encapsulate the effect that Andrew Wood’s songwriting could have had. Starting as a piano ballad, but eventually becoming so much more, without ever fully conforming into a power ballad. The medley also conveys Wood’s ability to write from a personal place… combining two songs about his relationship with his fiancee. Often referred to as “the voice of our generation”, Kurt Cobain’s persona and message really set the tone for rest of the grunge scene that we came to know and love.. Maybe if Wood hadn’t died so early, he would have become the era defining icon, instead of Cobain. But as history turned out, it was Nirvana that introduced the masses to what had been happening in Seattle, and it was Kurt’s death that shocked us and shook up the scene as we knew it to be. Even though Cobain came to be recognized as our generation’s Bob Dylan, Nirvana’s break out, Nevermind, didn’t seem to have a clearly defined message…other than just youthful angst and undirected/unfocused frustration. Even when the MTV/radio friendly hit Smells Like Teen Spirit seemed to sport nonsensical lyrics, there was something in tone of the music and lyrics that conveyed far more than anything the words themselves could have said. I chose “Drain You” from that album, simply because it was always one of my favorites from the band… with lyrics that start off saying “I’m lucky to have met you”, but quickly turn dark and defy the catchy pop melody and chord strums… and a psychedelic breakdown in the bridge that builds to an epic final verse. 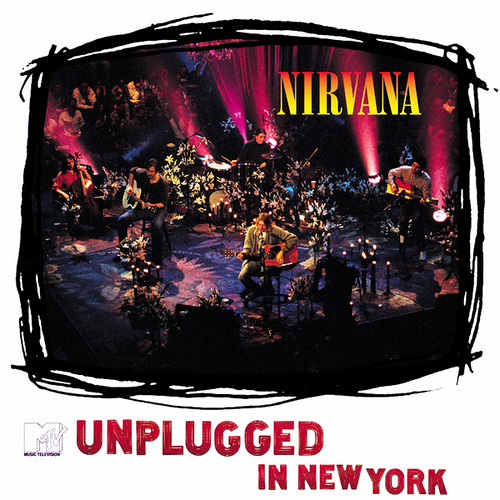 And I chose “All Apologies”, specifically from the MTV Unplugged performance, to illustrate just how well Cobain’s punk rock songs translated to a more broke down acoustic rendering, as well as how Cobain’s lyrics could be more honest and revealing as he progressed as a songwriter. While he summarized the lyrics, directed at his wife and daughter, as “peaceful, happy, comfort”, you can still see a struggle to feel accepted, despite his fame, in the words. The next grunge singer we lost was Alice in Chains lead vocalist, Layne Staley. Found dead in his apartment on April 19, 2002, Staley’s death came as no surprise as his struggles with drug addiction had been publicly known throughout his career. Many of AiC’s songs had been about addiction and the members’ other struggles…being some of the most blatantly revealing of all the grunge lyrics. Yet, I’ve come to realize that most of my favorite Alice in Chains songs were actually written by guitarist Jerry Cantrell. Not that I have a problem with Staley’s lyrics…but Cantrell’s melodies seem to resonate with me more. Such is the case with Would…which has always stood out to me as one of their best songs. And even though Staley didn’t write it, the fact that it was written about Andrew Wood makes it appropriate for this tribute mix. But Sludge Factory, presented here from their MTV Unplugged performance, represents classic Layne Staley songwriting…maybe not the most obvious narrative in the words, but clearly coming from the dark place that eventually led to Staley’s long term isolation and death. Because Stone Temple Pilots didn’t originate from the same Seattle scene, they have been regarded as an illegal import into Grunge…a copy cat, ripoff band that merely jumped on the bandwagon. And I have to admit, I was of that opinion at first. But eventually, Scott Weiland and the band found their own voice in the alterna-grunge landscape. While the band’s debut was often dismissed, (I believe the quote I heard was “I liked them better when they were called Pearl Jam”), their second album proved that the band was here to stay, whether we purists wanted them or not. Interstate Love Song revealed that Scott and company knew how to write catchy, radio friendly singles. 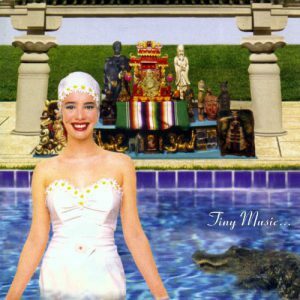 But it was STP’s third record, Tiny Music… Songs From the Vatican Gift Shop, that made us really take notice. Breaking out of the grunge sound, songs like “Trippin’ on a Hole in a Paper Heart” found the band exploring other modern rock, and even Beatlesque sounds…showing much more artistic depth and pop sensibility than we skeptics had expected. But the band had a short and tumultuous life. Weiland’s drug dependency made him unstable as a front man and he and the band parted ways more than once before he finally went on to join former members of Guns and Roses in Velvet Revolver. All throughout his career, Weiland’s lyrics reflected his struggles with addiction, and he eventually fell victim to those vices. His death in December of 2015 seemed to be the start of a massive string of musician deaths that littered 2016 and seems to be continuing, if slowed down a bit, in 2017, including Cornell and now Gregg Allman most recently. You may have noticed that in compiling this mixtape, I’ve yet to include any selections from the singers’ various side projects or later band involvements… such as Mad Season or Velvet Revolver. It’s not that I was intentionally leaving those projects out. But as I wanted to focus on the songs that had affected me most, I just kept returning to those original 5 grunge bands that first caught my attention as a teenager. 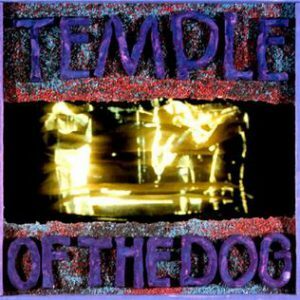 As for Chris Cornell, his early side project, Temple of the Dog, definitely had an impact on many of us grunge fans back in the day. 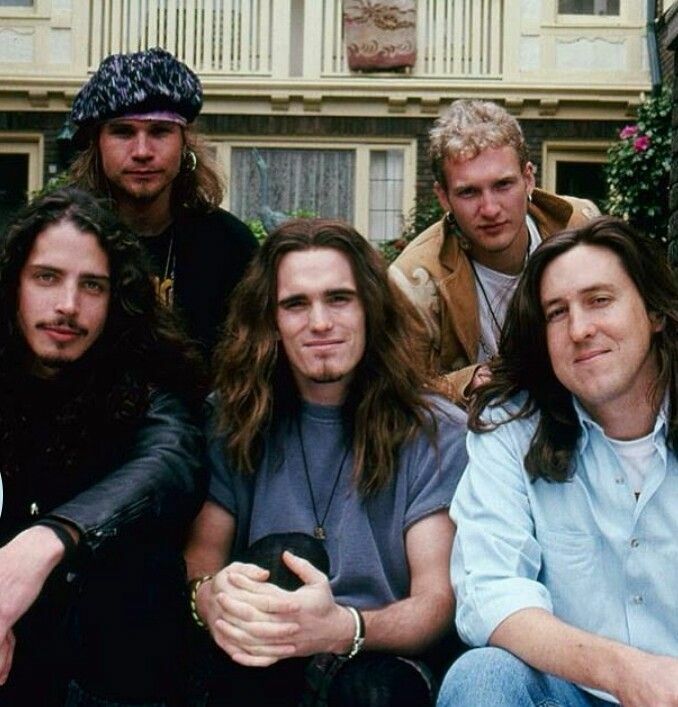 It was through the story of this Seattle supergroup, made up of members of Soundgarden and Mother Love Bone and Pearl Jam, that we learned of Andrew Wood, and his impact on the Seattle music scene that birthed our grunge movement. We’re all familiar with TotD’s “Hunger Strike”, which introduced the music world to Pearl Jam’s Eddie Vedder… and in the wake of Cornell’s death, many folks have turned to his tribute to Wood, “Say Hello to Heaven”. But I decided to include the TotD’s second track, “Reach Down”: another song that Cornell wrote about his friend Andrew, and a song that I feel works as a mantra for the entire grunge movement and all the front men whose charisma and vulnerability allowed them to reach down from the stage and pick the crowds up as we fell under their musical spell. Also, I found this to be one of Cornell’s strongest vocal performances, at least out of what I’ve heard. You can hear the raw emotion as he sings the words to/about his lost friend, and I think it reveals that he had more ‘soul’ in his voice than any of these other grunge vocalists. In preparation for this mix, I also listened to Soundgarden’s Superunknown, and I was able to hear it with fresh ears. I had caught a brief video featuring Dave Grohl describing the first time he heard SG’s masterpiece…saying that they had found that perfect blend of The Beatles’ melodic sense with Black Sabbath’s dark, heavy sound. Hearing it for the first time in years, I was blown away at just how accurate that description was… combining intricate guitar riffs and complex rhythmic changes with commercial/radio accessibility and pop sensibility. I was tempted to pick “Black Hole Sun” as the best example of the brilliance of the record, but I didn’t want to use such an obvious massive hit. So instead I selected ‘The Day I Tried to Live”… a song that Cornell said was about trying to break out of his reclusive tendencies and live… trying “to open up myself and experience everything that’s going on around me as opposed to blowing it all off and hiding in a cave.” Even though his life did end in tragedy (as we’re not sure if it was intentional or a result of taking too many pills for anxiety), Chris Cornell did indeed live through a long career…out-surviving some of contemporaries to give us insightful and reflective music and artistic expression. As a “bonus track” I decided to include a song from the fifth, still living, grunge singer, Eddie Vedder and Pearl Jam. I felt it appropriate to tag Vedder’s anthem of survival onto this tribute mix, not to brag that he’s the last remaining vocalist of the scene, but rather to proclaim that even though we’ve lost the singers, the music survives and will help to keep us, the audience and fans, alive… to exclaim that as the humans that make the art rise and fall, their expressions will rise above the turmoil and struggles that try to burden us and take us out. R.I.P. Chris, Scott, Layne, Kurt, and Andrew. Please know that your music and expressions of honesty and sincerity will continue to inspire, comfort, challenge, and heal us.